The 20-month George Mason University Executive MBA program offers executives and working professionals a world-class business education, without the career interruption of a traditional graduate business degree. All three Executive MBA tracks are available to take on weekends in Arlington, VA.
Like the MBA, the George Mason University Executive MBA numbers 48 credit hours in total. Students can choose between the Global or National Security tracks. Global students must complete one week-long global residency. National Security students, on the other hand, must complete a residency in the Washington, D.C., metro area. National Security students are also offered the chance at a global residency, but at an extra cost. Critical Infrastructure Protection & Management is a seven-module program that also features an optional global residency at an additional cost. The program is constructed in partnership with George Mason University’s Center for Infrastructure Protection and Homeland Security. Typical classes for the George Mason EMBA will have between 24 and 34 students. On average, students are 41-years old and have 15 years of previous work experience. Around 28 percent of applicants identify as female, while 72 percent identify as male. More than half of the class comes from military backgrounds, 29 percent are of minority status, and around 2 percent are international residents. 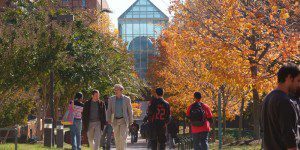 The tuition for the George Mason Executive MBA program is all inclusive and covers the cost of all course offerings, textbooks and study materials, meals on class days, and travel and accommodation for some of the residencies. Cost for each of the EMBA tracks is approximately $79,000.32, or $1,645.84 per-credit. This does not include new student and resource fees. U.S. citizens and permanent residents applying to Mason’s MBA program are eligible for federal Stafford and Graduate PLUS loans, as well as private loans. Applicants to the George Mason University Executive MBA programs must have completed a Bachelor’s degree or recognized qualifications equivalent to a degree, possess seven years of full-time work experience including significant experience at a management level, and currently hold a position of executive responsibility within an organization. To apply to George Mason University’s Executive MBA program, applicants must submit a completed application form, official copies of transcripts from each institution attended, current résumé, and two letters of recommendation. The school also requires applicants to submit a personal career goals statement and a personal essay on leadership experience or core values. A $75 application fee is required. Those with sufficient previous work and academic experience may not be required to submit GMAT or GRE scores. Applicants to the EMBA program will attend an interview with the Executive MBA Director. Non-native English speaking applicants must provide official TOEFL, Pearson, or IELTS scores and transcripts from previous institutions. Note: The program is slated to return in spring 2020. What Are The Best Washington DC Real Estate MBA Programs?